When Felipe Contepomi packed his stethoscope and left Dublin for pastures new, he did so having laid such strong foundations that returning to the place he called home for six years always felt like a real possibility. Perhaps we should have read between the lines when Dr Phil spoke to this newspaper last November and hinted that some day he could be coaching at Leinster. That day has arrived sooner than many might have thought, as Leinster's new backs coach gets set to relocate back to the capital. As soon as Girvan Dempsey informed the province of his intention to join Bath, Leinster have been on the look-out for a suitable replacement. To Leo Cullen's credit, since he took on the job, he can never be accused of standing still. The head coach proved that by appointing Stuart Lancaster and the results of that somewhat brave decision have been utterly emphatic. Hiring Contepomi could also be looked at as a slightly risky move, solely because of his coaching experience, or lack of, but this appointment will rightly be welcomed by everyone concerned with Leinster, from the players to the supporters. Since retiring three years ago, Contepomi has been working in Buenos Aries along with his father in their medical practice, whilst also dipping his toe into the coaching world. 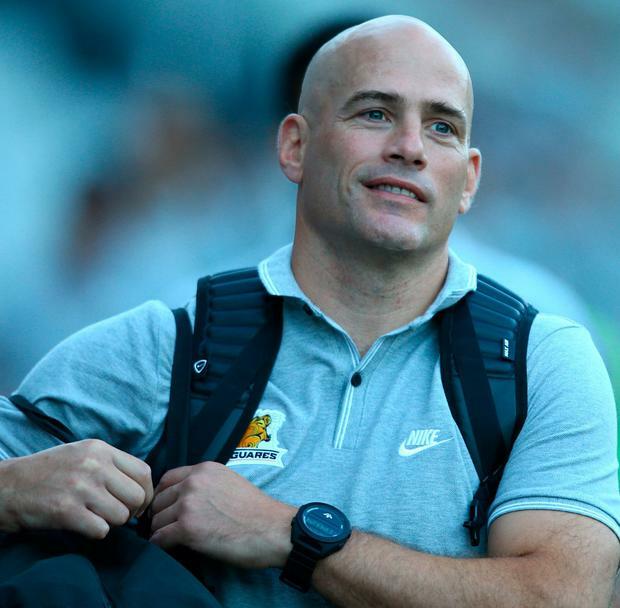 Employed by the Argentinian Rugby Union, getting the chance to hone his skills with their Super Rugby franchise, the Jaguares, has opened Contepomi's eyes to life on the other side of the white line. As soon as Cullen and Lancaster became aware of the possibility of the 40-year-old joining their coaching staff, it was a no-brainer to pursue it further. For Contepomi, an offer to return to the club where he was adored by supporters was too good to turn down. It will also afford the former out-half the chance to learn from Lancaster, who is widely regarded as one of the smartest rugby brains in Ireland right now. Contepomi's timing could hardly be more ideal. On the back of their most successful season, Leinster are riding a crest of a wave and have an array of attacking backs who will relish the chance to learn from one of the great innovators. As a coach, Contepomi is still very much at the early stages of his development, but if his innovative ways during his time as a player are anything to go by, he will slot in well. For Ross Byrne in particular, these are hugely exciting times. The last few weeks must have felt like a dream for the young Leinster out-half. First Joey Carbery heads south to Munster (a penny for his thoughts at missing out on working with Contepomi), then a first call-up to the Ireland squad, and now Byrne faces into the reality that when he returns for pre-season, he will do so alongside the two greatest out-halves to ever play for Leinster. Johnny Sexton had a major say in Lancaster joining Leinster. It would be fascinating to know how much dialogue there was with him when this latest coaching decision was made. For years, the pair battled for the No 10 jersey before Sexton became the heir to Contepomi's throne, and ultimately pushed the province to new heights. "Johnny and Felipe have a strong relationship going back to when they were competing with each other, played a little bit together as well," Cullen said yesterday. "I think Johnny is very, very excited about Felipe coming back as well. "You think a lot of guys come through the system here, whether it's through the clubs and schools into the sub Academy and the Academy. "You're producing from within so much so that every now and again, it's nice to have a bit of an outside perspective coming in and Felipe certainly gives us that because he he's been at Leinster so he understands how things operate here." When Leinster signed Contepomi in 2003, it felt like a good fit and six years later, the mark he left on the province spoke for itself. Fast forward nine years, and again the 87-times-capped Puma's arrival feels right. He will be working with both a strong coaching group as well an exceptionally talented squad of backs. "I spent much of my playing career at Leinster and now I'll be back in Dublin to join a great staff and to work with great players," Contepomi enthused. "All this is a huge motivation and it will be a great experience to continue growing as a coach." Contepomi has already cemented his legacy as one of the great Leinster players. You wouldn't back against him doing something similar as a coach.